We get many calls and emails from our customers asking how they should maintain their vehicle after it has been coated. Our After The Car Coating Maintenance Kit includes everything you need to keep your vehicle’s coating looking great year-round. 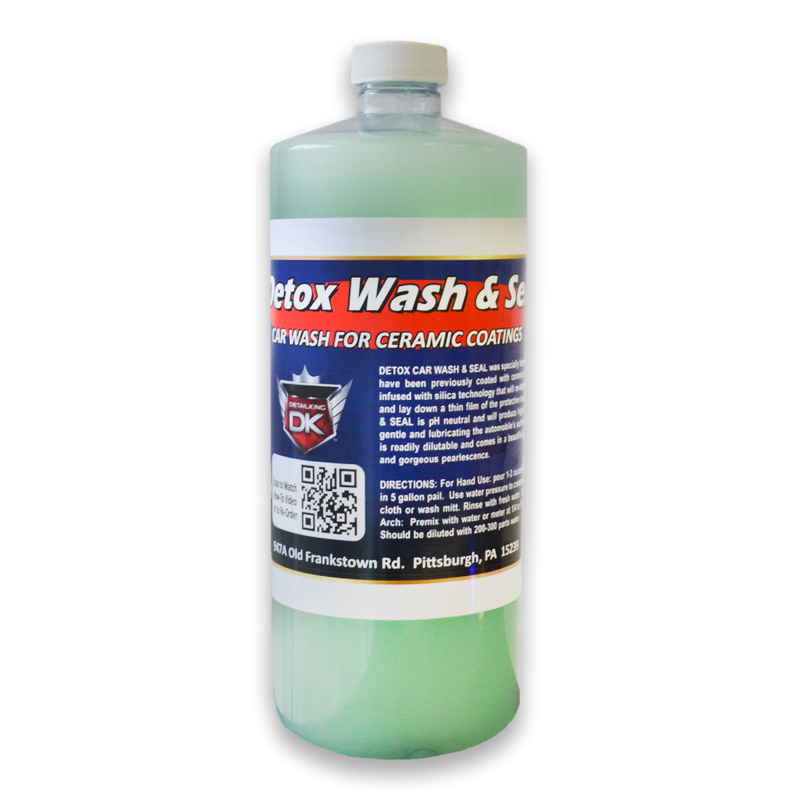 You made an investment by getting your vehicle coated now It is important that you protect that investment by using the proper car wash soap and top coat on a regular basis. 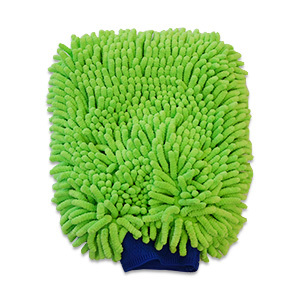 Cleaning your car will be much easier once your car is coated. 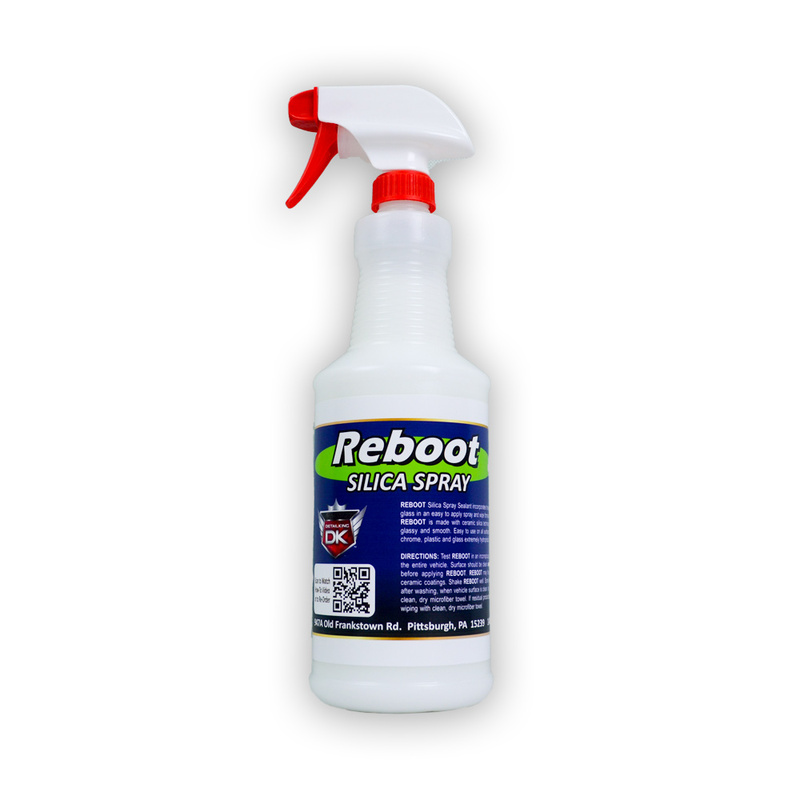 Ceramic coatings provide self-cleaning properties, but you still need to maintain the ceramic coating to keep your vehicle shiny and glossy. 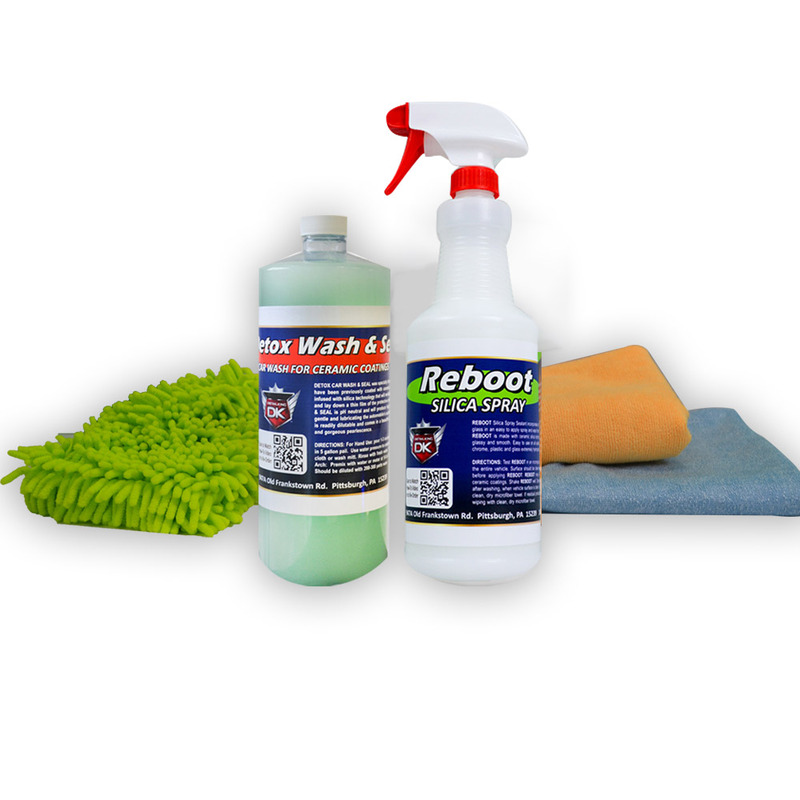 This kit includes our specially formulated maintenance Detox Wash & Seal Car Wash Shampoo for ceramic coatings, Reboot Silica Spray Sealant, Microfiber Super Towel to be used with Reboot, Microfiber Chenille Car Wash Mitt and a Microfiber Jumbo Drying Towel. It doesn’t matter what brand of coating you have on your vehicle these product will keep your coating looking great!